Jungletap - Affiliate CPA network reviews and details. 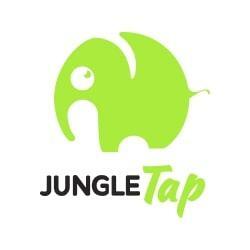 JungleTap is a young company founded in 2014. The devoted online ad technologists make our team to unlock the full profit of all traffic. Also, Jungletap has cooperated with many honored and proven top worldwide traffic sources to provide their advertisers with a truly global reach and the first-rate users. We provide custom-crafted campaigns, one-and-one traffic analysis, powerful statistic dashboard including all data you need. Moreover, Jungtap is eager to assist you with a 24/7 account manager support and excellent payouts on great global offers. You can check JungleTap reviews and Offers on Affbank and ask JungleTap Team any question by using the contacts above, especially about how to earn money! It's a good network with a big choice of offers in the different geolocations (which is especially important for my business). I can sincerely recommend JungleTap both for newbies and people who have already had experience in this field. I love to work with JungleTap. They are nice guys with nice offers. Anyone knows any better network? If you know, ping me, I'll give you a dollar! JungleTap is one of the first networks I’ve worked with and their team was very helpful, as I still had holes in my understanding of some points. The best part is — they always pay! I’ve been working with JungleTap for quite a while now. They pay on time and fair, so I have nothing bad to say. Very friendly people who enjoy their work. As a result, our partnership has been nothing but productive. Please Pay for my 3 invoices.. Or, is your company going to bankrupt?. HEY!!! ANYBODY! Support never ask me!! Great offers, add every day, it’s really great. BUT PLEASE CONTACT ME, I have some questions. merci jungletap, c’est un bon moyen pour moi! Hello, I want to thank the project manager and the support of your team. I still waiting for my payment from last 2 months. I emailed many time but no Response. Since then don’t want to work with them. hi guys! I’m Jessy and i choose Jungletap because of great reviews. Nice network! they have their own tracking platfor, the payments are in time if you need urgent payments just ask your affiliate manager.